Badminton is starting back up! Hey everyone, Badminton is back up starting on September 12th! The calendar on the sidebar has been updated for the times badminton is being held this Fall. There is also a Family and Junior program! The Family program is from 6-7pm on Thursday, and the Junior program is from 7-8pm on Thursdays. These programs start on Sept 14th and go until Nov 30th. They cost $50, and program registration is through City Park Rec. Also, we have the Kamloops Open & Junior November 10-11th at TRU. Thanks everyone for attending badminton, we will resume in September. If anyone would like to volunteer for the BC Winter Games in Kamloops 2018, please see here, the KBA is looking for help and volunteers! Badminton BC 2017 BC Junior B Provincial Championship! We are also looking for volunteers for the event, with tasks including Shuttle Control, helping at the draw desk, and posting scores. Please email Ashley Robertson at arobertson66@gmail.com for more information. Reminder Badminton is Cancelled May 9th and 11th! Reminder that badminton is cancelled on May 9th, and May 11th. All members are encouraged to be there to discuss KBA plans for 2017. Please email any topics to add to the agenda, Meeting should only take 2-30 minutes. Prize draw for attending members. 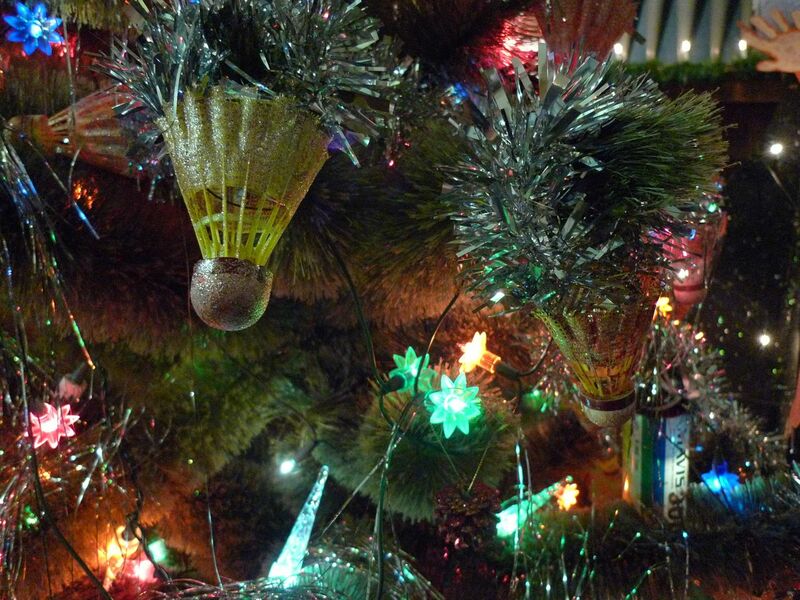 Christmas break is on, meaning no badminton until we re-open on Tuesday, January 3rd, 2017. Also here is the link to view results from the 2016 Kamloops Open! Register for Kamloops Open ASAP! The 2016 Kamloops Open will be hosted by the Kamloops Badminton Association at Thompson Rivers University in Kamloops from November 4-5, 2016. Note that it is all day Saturday November 5th. Online entry is now open! Registration extended to Wednesday, November 2nd at 11:59pm. Now that it is up for online registration, if you were unaware be known that there will most likely in the majority of cases be issues with existing Tournament Software account holders wanting to register for the tournament due to the fact that we have moved to Badminton Canada’s new player database this season. For players that have existing accounts, they will first have to link their Tournament Software account to the Badminton Canada Player database (select black ‘Login’ box at top right of the Tournament Software online registration screen). Second, they will be required through the system to renew their Badminton BC Membership. Thirdly and only after these first two steps have been completed will players be able to register for the tournament. For players that do not have Tournament Software accounts, they will first have to create a Badminton Canada Player profile (select red ‘Sign up’ box at top right of the Tournament Software online registration screen). They will then be prompted to purchase a Badminton BC Membership. Again, thirdly and only after these first two steps have been completed will players be able to register for the tournament. The biggest issue will be the linking for existing Tournament Software account holders, however this only needs to be performed once. For future membership renewals and tournament registrations this will not be an issue as they will already be linked. Badminton starts up again on Sept 13th at 7pm at Pacific Way Elementary! This season has an entirely new schedule so please check the calendar on the left side for exact times that Badminton will be held. On Tuesday nights from Sept 13th until Oct 18th, Badminton will go from 7-10pm. Then from Oct 25th until Jan 24th, Badminton will go from 8-10pm. On Thursday nights from Sept 15th until Jan 26th Badminton will go from 8-10pm. (Note that Oct 20th, 27th, and Dec 8th, 15th, and 22nd are all cancelled). If you found this above schedule confusing just check the calendar at the side at any day to see what time badminton is being held. Reminder of dates before Summer Break! Reminder that there aren’t that many days of badminton left, so be sure to come out and play before we go for summer break from June 17th until Sept!